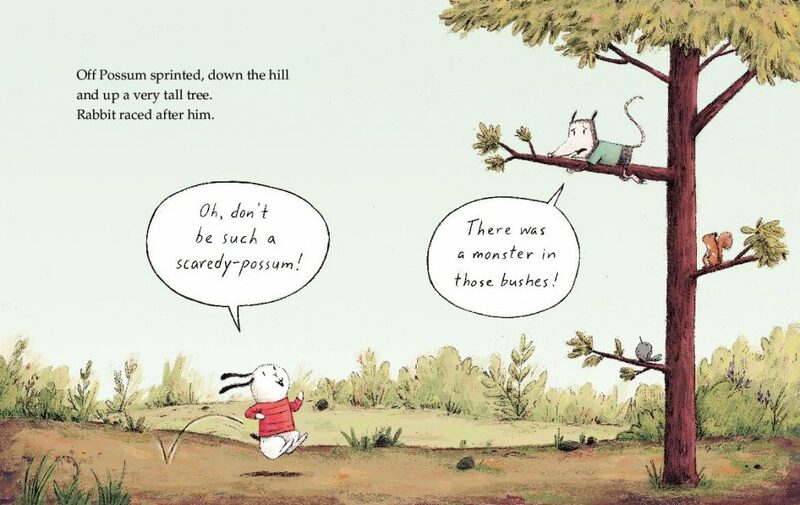 What goes up, must come down in Rabbit & Possum, a playful woodland adventure story from debut picture book author/illustrator Dana Wulfekotte. Interior artwork from RABBIT & POSSUM written and illustrated by Dana Wulfekotte, Greenwillow Books ©2018. Rabbit has been busy all morning, preparing for her good friend Possum to visit her burrow. Expressive and flop-eared, she’s disappointed but not discouraged to discover that Possum is still sound asleep. 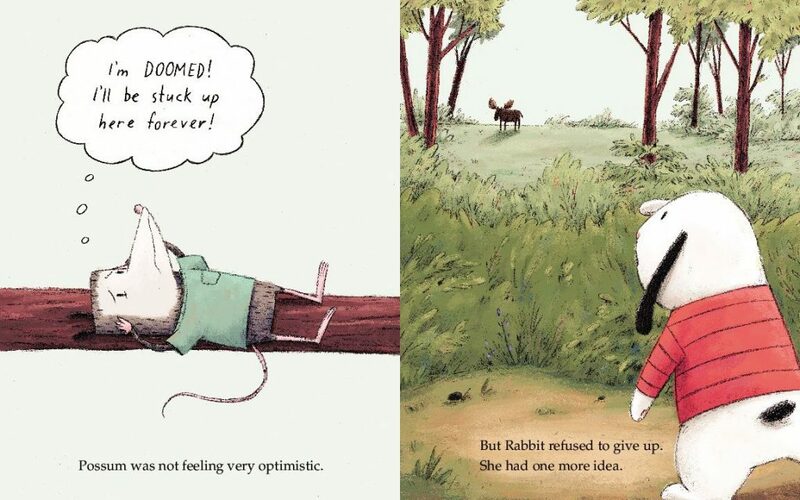 Nothing Rabbit tries will rouse Possum until there is a suspicious rustling in the bushes. “DID YOU HEAR THAT?” cries Possum upon waking, and he sprints up a tree for safety. It’s up to Rabbit to figure out a way to help Possum down so they can hold their planned playdate. 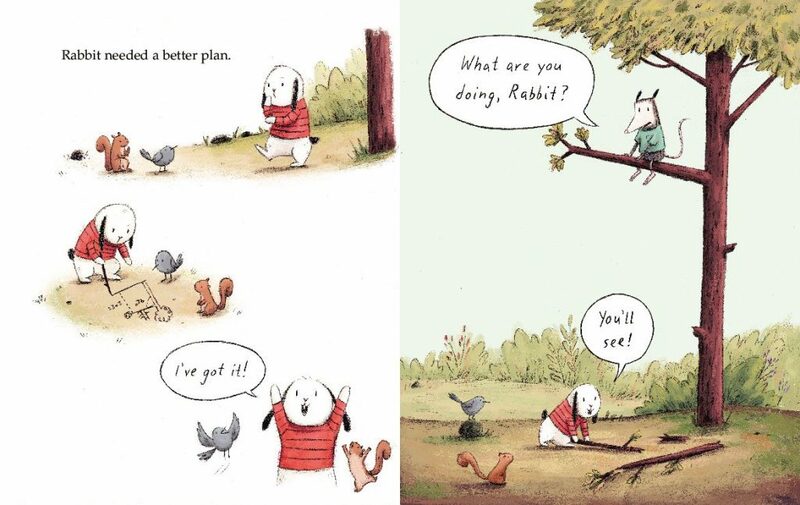 Resourceful, creative Rabbit ponders, plots and plans various scenarios for his rescue. All the while she reassures the nervous Possum as he frets, frowns and nibbles his nails. Their outward conversation and internal worries, revealed through individual thought and speech bubbles, add a delightful dimension to the story and enhance the emotional connectedness of the two friends. 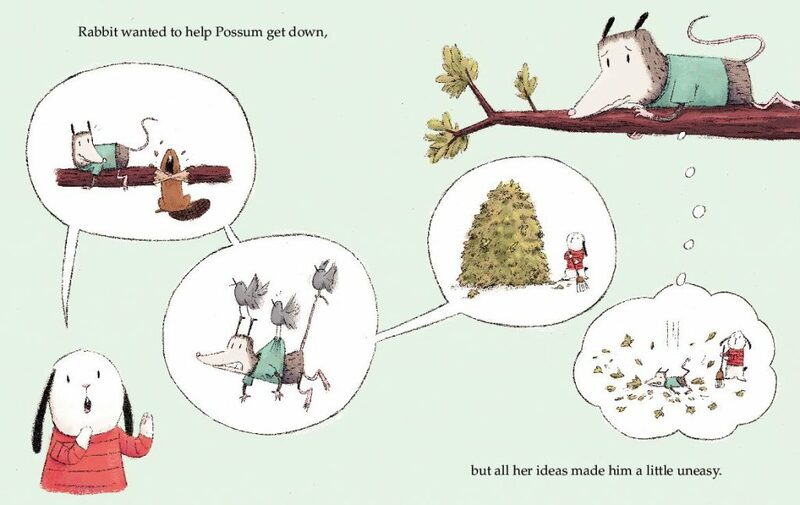 Can Rabbit successfully recruit a third party – a large, stern (and vegetarian) Moose to help save Possum? Will Possum trust Rabbit that the massive Moose is friend, not foe? 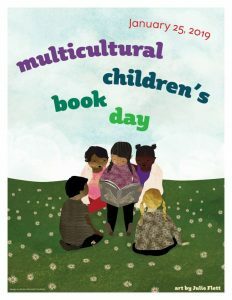 Young readers will be compelled to continue turning pages as the action sprints smoothly from start to finish. Wulfekotte’s illustrations feature soft, light tones. Sweaters colored aqua-blue and rich red set off the two main characters nicely. Well-textured trees and bushes depict a spare forest landscape against a bright, pale sky. Spot illustrations interspersed with single and double-page spreads keep the pacing lively and interesting. 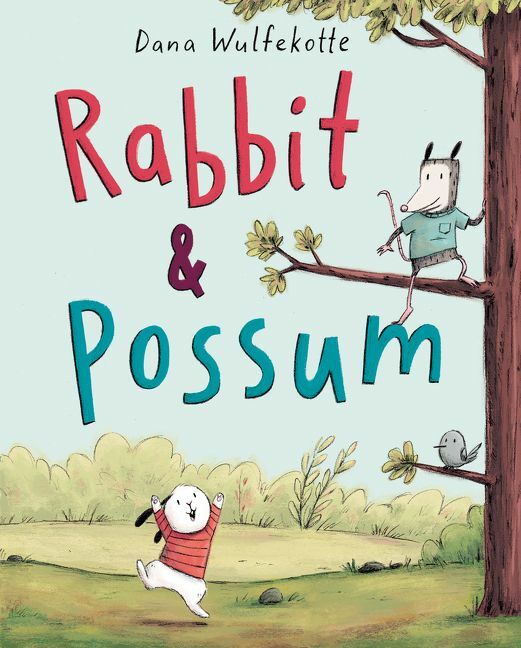 A delightful pair of comic silent onlookers, a squirrel and bluebird, seem poised to tell their own story of woodland adventures if Rabbit & Possum produces a spin-off sequel. Let’s hope they do! 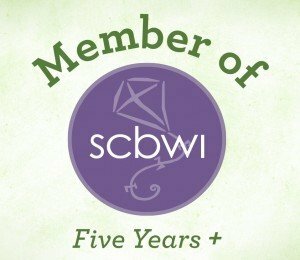 Where obtained: I reviewed a copy from my local library and received no other compensation. The opinions expressed here are my own. 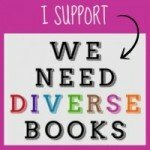 To see another #Epic18 picture book reviewed by Cathy, click here.